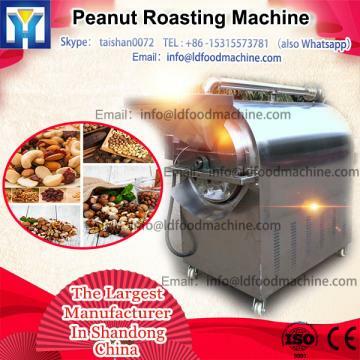 The nut roasting machine is used to roast almost all kinds of nuts.It is suitable for processing a variety of dried fruits and nuts, such as: chestnut, peanuts, melon seeds, pine nuts,hazelnuts, almonds, canola, beans, dates, sesame, walnut, various beans, wheat, rice, etc.It is widely applies to fixed-point operations or densely populated areas, etc.,mainly used for shopping malls, supermarkets, food stores, chain stores, street snacks. By the way, we can provide some related machine and other machinery with high quality and low price.You can contact me. 1.The machine uses a unique roller horizontal structure, uniform heating, good sealing, the effects are particularly good for stew and fried. 2.The back cover can be opened, so that maintenance and repair conveniently. 3.With energy-saving stove for gas heating Roasting Machine, firepower can be adjusted. 4.Roasting Machine of electric heating are with temperature control device, so that the temperate can be adjusted. Within 5-7 working days after receiving clients’ payment. a. Machines are wrapped in plastic film first before packing, which is to avoid moisture on the sea. b.The machines are putted in strong iron sheet case/wooden case which is free of fumigation, lined with metal wire if necessary. Quality guarantee term is for one year. Malfunctions which are caused by machineself and quality will be responsible for our manufacturer. Other malfunctions which are caused by operation mistakes, man-made problems, etc will be responsible for clients-self. a. Before sending the machine, we will test and adjust, so you can use directly when you get it. b. Operation video & instruction will be sent to clients, to help them use the machines better. a . Any problems occur while using, professional advice will be offered. 2. Can you ship the machine to my address? 3. Where are you? Can we go to China and visit your factory? 4. Do you have manual with the machine? 5. Can you offer us the necessary paper to do the customs clearance?